Since ancient times, Athens has been considered the intellectual and artistic center of Greece, and was the jewel of the ancient world. It was the city where mankinds most precious and most significant moral values were founded. Philosophy, science, literature, art and drama are just some of the concepts born in ancient Athens. Democracy, freedom, justice and forward thinking are ideals conceived in this great city, which are the core principles of western civilization. Nowadays, Athens offers a unique combination of historic and modern elements, developing into a modern European Metropolis and an ideal city break destination. Surrounded by a lining of stunning seas and mountains, Greeces travel friendly capital is filled with gems just waiting to be discovered: archeological sites; modern and classical art museums & galleries; opera houses; spas; chic shops, restaurants and bars; street markets and bazaars; outdoor cinemas can all be enjoyed during more than 300 sun-drenched days in Athens! 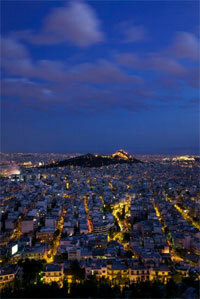 Athens is an ideal year-round city travel destination. Helios, the sun god in Greek mythology, smiles upon its streets over 300 days a year affording visitors pleasant travel and sightseeing weather. The summers (June-August) are hot but September is often considered the ideal month for both urban activities and island escapes. The Mediterranean climate makes for mild winters. In Athens, sunshine and outdoor living is almost always a given; no matter what time of year! The city of Athens is the most vibrant and hospitable historical city in Europe, offering countless activities for all types of visitors. Its tourism identity over the last few years has been bolstered considerably by new infrastructure, changes to its transportation network, green spaces newly created by the City of Athens, as well as the renewal of many of the citys areas, the unification of archaeological sites and its new museums. The city features more than 166 hotels, 137 theatres, 64 cinemas, 44 museums, two concert halls, more than 150 bars and 73 clubs. At the same time, there is an endless supply of temptations for shopping, dining out, entertainment, leisure sports and fitness. The geographical location of Athens is of strategic importance and offers many alternatives for visits to outlying areas, as it is surrounded by three mountains and has easy access to three more. 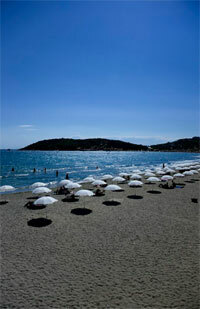 There are also nine smaller hills nearby, while visitors may easily access more than 40 beaches and five nearby islands. The road that every traveller must walk is the Unification of Archaeological Sites route, which has transformed the area surrounding the Acropolis into Europes largest archaeological park. The experience of walking among some of the worlds most significant ancient treasures in an archaeological park 4.7 km (3 miles) wide will move you. 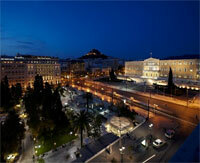 The park extends from Dionissiou Areopagitou, Apostolou Pavlou, Adrianou, Ermou and Vassilisis Olga streets. Southeast of the park are the neighbourhoods and sites of Filopappou Hill, the Makrygianni district and Koukaki. Northwest of the park is the graphic and historic neighbourhood of Plaka. Athens has something to match any cultural interest. In Athens there are numerous museums with fantastic artifacts and exhibits. For the musical lovers, there are symphonies and concerts; broadway shows, musicals, ballets and dance performances. All of the shows, museums and galleries in the city are top of the line. Archaeological Sites & Classical Greek Monuments: The Acropolis; Ancient Agora, Aerides, The Roman Market; Kerameikos Cemetery; Archeological Site of Olympeion; Ancient Olympic Stadium (Kallimarmaro); Zappeion Gardens; Theatre of Dionysus; Odeon of Heroda Atticus; Temple of Zeus. Byzantine Monuments: The Old Metropolis; Ayios Georgios on Lycabettus Hill. Ottoman Monuments: Turkish Baths; Muslim Seminary. Historic Centers: Plaka; Monastiraki; Old Commerce Center; Psyrri; Kerameikos; Gazi; Metaxourgeio; Syntagma; Lycabettus Hill; Omonia. Museums: National Archaeological Museum; National Art Gallery; Byzantine and Christian Museum; Acropolis Museum; Museum of Cycladic Art; War Museum; Museum of the City of Athens; Benaki Museum; National Historical Museum; The Museum of Greek Childrens Art (one of the very few childrens art museums worldwide). During the last decade, Athenian cuisine has experienced a gourmet revolution. Τhe Athenian landscape of 19th century neoclassical buildings, ancient sites, artsy industrial and Mediterranean coastal milieus have created a canvas for alluring interiors and exteriors. Rooftop bar-restaurants can easily compete with some of the worlds most renowned ones, but can they claim a view of the Acropolis? Talented chefs and successful restaurateurs from the worlds food Meccas have entered the kitchens and changed the Greek food setting into one that can compete with many European urban centres. Culinary aficionados are encouraged to delight their palates in the myriad of sophisticated gourmet restaurants in Athens that boast tastes and designs inspired by many cultures. Α showcase for its traditional and modern culture and lifestyle, shopping in Athens can be a fascinating and satisfying experience for all. Amidst the many well-known and international name brands and traditional Greek art and folk-art shops, there are hundreds and hundreds of chic boutiques and specialty shops bursting with great fashion finds for every taste and budget. The new kids on the block are the glitzy department stores that have won the hearts of the natives and visitors who shop there. The close proximity of each shopping district means that a weekend in Athens can combine a stroll along a cobblestone path amongst the locals buying fresh produce at traditional markets and bazaars with browsing elegant displays of haute couture, pret a porter clothing, shoes and accessories by talented Greek and foreign designers that are sure to impress. Like every other big city in Europe, Athens offers a choice in whatever kind of entertainment for every age. The city is famous for its vibrant nightlife. The choices are plenty and they appeal to all tastes and lifestyles. Everything from mainstream clubs, fashion mainstream, freestyle, dance, alternative rock, classic rock, live rock, ethnic, disco, Greek music and more, most of its entertainment halls have their own personal style that gives a wide choice as to which place suits you best for the evening. Athens is a child-friendly city. It begins with the Athenians themselves who have high regard for family, especially when it comes to children. 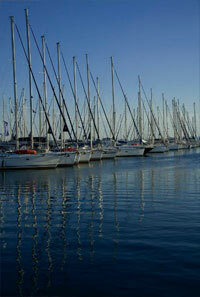 And there are many facilities in and around Athens that cater to families travelling with children of all ages. Playgrounds, water parks, zoos, adventure parks, fun parks and childrens museums are all here for you to enjoy. The birthplace of the Olympic Games has a tradition of athletics. The great outdoors is what recreational sporting in Athens is all about. Yachting. Sailing. Windsurfing. Beach Volleyball. Trekking. Skiing. Of course, the gorgeous summer weather is ideal for sea and sun sport enthusiasts with crystal clear waters just minutes away from Athens centre. But the fall and winter also have their sporting charms: trekking, hiking, horseback riding and mountain biking on Mount Parnitha and Mount Ymittos and skiing and snowboarding on Mount Parnassos. Athens is one of the few European cities where you can visit a museum during the day and jet off to a nearby island at night. 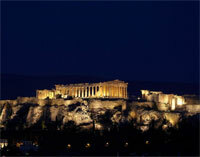 Athens is the hub of Greece and its 3,000 islands, traditional villages, deluxe spas and ski resorts. While in Athens take the opportunity to visit the ancient theatre of Epidavros and the ruins of Mycenae and Tiryns. Follow the aroma of lush eucalyptus to nearby Nafplion, the first capital of modern Greece. Try your luck at the casinos of Loutraki. Visit the site of the famous Oracle of Delphi where ancient rulers sought political and moral guidance. Sports fans should not miss Ancient Olympia where it all began. En route, stop at local villages and taste their traditional pies, yogurt or preserves. Beach lovers take the coastal drive to Sounion and sip a cocktail overlooking the Temple of Poseidon. Wine connoisseurs schedule an outing to Greek Wine country and sample the new varieties that are making headlines worldwide. Skiers and trekkers take to the mountains. Breathe the crisp, fresh mountain air of Mt. Parnassos and indulge the slopes as did Apollo and Dionysos. Islands of the Argosaronic Gulf provide easy island getaways. Holistic travelers go to Evia for its therapeutic and invigorating thermal springs, Aedipsos. Have a few days? Visit Delos and nearby Mykonos. The region of Attica, is one of the oldest winemaking areas of Greece. This is where Dionysus, the God of Wine, introduced the culture of wine to the Greeks. Just a few kilometers outside Athens, there are several wineries to be visited. A number of inspired winemakers have shown that the region exhibits all of the necessary qualities for the production of world class wines. The new generation of wine enologists, agriculturists and viticulturists have brought renewed inspiration to Atticas vineyard, improving the quality of the Attica wines making them highly competitive in the worldwide market. In todays wineries high quality wines are being produced with modern wine-making methods and ideal ageing conditions in their cellars. The vineyards of Attica are spread extensively over the Attic basin whose borders reach the mountains of Hymettus, Penteli, Parnitha, Kitherona, Geraneia and Patera. The total surface area of Atticas vineyard is 538.500 hectares. Native and foreign grape varieties coexist in this vineyard, the largest in Greece today, with white varieties, Savatiano and Roditis, prevailing. These varieties flourish in Atticas environment capturing 80% of todays vineyards. However, red varieties are also cultivated with great success producing several of Greeces best red wines. By tradition Attica was the home of retsina  particularly in the Mesogeia district. Retsinas unique flavour makes it an excellent accompaniment for Mediterranean cuisine. Surrounded by sea, Atticas mild winters and cool summers provide ideal conditions for viticulture. Here the combination of vineyard  soil  climate give us a favourable environment. The Athenian Riviera boasts a series of high class restaurants, cafes, exciting music venues and modern sports facilities, as well as some of the best beaches and seaside destinations in the world! During summer, spring and early fall, the coastal waters of Athens are for swimmers, while its nightlife, fancy restaurants, shopping streets, yacht marinas and natural beauties are to be enjoyed year-round! Undoubtedly, this city with its vibrant urban landscape, boasts some of the best beaches and seaside destinations in the world and offers a riviera just 30 minutes away from the heart of the city.